​When It Comes to Tree Removal or Tree Trimming Hudson Trusts Supreme Tree Service! Supreme Tree Service was built with the focus on putting our customer first. Our top priority is always providing our customers the best tree service in the market at an affordable price. Whether you need tree removal, pruning, tree cutting, stump removal or palm tree trimming, you can be assured that we are qualified and prepared to do the job. 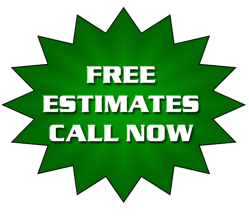 We are the #1 Professional Tree Removal and Trimming Service serving all of Pasco including Hudson, New Port Richey, Trinity, Port Richey, Lutz, Elfers, Holiday, Land O'Lakes, Odessa, Dade City, Zephyrhills, Tarpon Springs, Palm Harbor, Dunedin or Anclote. As well as Spring Hill, Brooksville, and the rest of Hernando County. If you're looking for a tree service company that is affordable, professional, experienced and reliable, look no further than Supreme Tree Service. We service both commercial and residential customers. Pasco's #1 Tree removal service knows that keeping up with your yard is not always an easy task. Before you start to remove your own trees, there are plenty of things to think about. Safety should be your first concern. Tree removal when done improperly can be very dangerous. You should take this into consideration before you begin to remove your trees, prune your trees, or attempt to trim trees that are alleviate the dangerous work for you. Tree Trimming in Pasco County can be extremely dangerous work if you lack experience and skill in this area. Trees can quickly become hazardous when you attempt to prune, trim, or remove them. By hiring a tree removal company that is skilled in providing these services, they will take care of issues that arise both quickly and safely. Trees can fall unexpectedly and damage your property or even a person, if not properly cared for. Hiring a professional tree service in Pasco County, Florida for tree care can provide you with valuable preventative maintenance that is important to your family’s safety as well as your neighbors. If you hire tree company that is not knowledgeable in tree pruning, they may end up doing more harm than good. Some people tend to cut off too many branches when they are trimming their trees. Unknowingly, they leave their tree vulnerable to disease and may even cause structural issues with the tree. When you hire a tree care company such as Supreme Tree Service, we have the skill and proper tools that are needed for the job. Don’t spend money on purchasing tools that you don’t know how to use and risk hurting yourself. 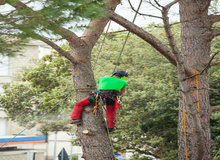 Hire a tree service company like Supreme Tree Service and let the professionals complete the job safely for you. Why waste your time and money when you can hire the best tree trimming company in Pasco to take the worry off your hands. When you hire our tree care service in Hudson, it should be for convenience and peace of mind. Pick up the phone and call Supreme Tree Service today at 727-469-7787. While you may like to work in the yard on your own, there are plenty of other exciting things that you can be doing on your weekend instead of pruning your trees. We will be complete your tree service work without disrupting your schedule. We will also keep you updated with the work that has been completed. Hiring Supreme tree service offers you more advantages than disadvantages. Always shop around and complete your research before hiring a tree cutting service to come to your home. The bid that you receive from Supreme Tree Service will be the winning one. Supreme Tree Service takes pride in our work. We’ll make sure you are completely satisfied. You’ll be able enjoy the time that you saved yourself by spending it with your family at Hudson Beach. 1. Safety. You might feel that you can take care of your trees yourself, but removing dead trees or tree limbs yourself can very dangerous. For your safety, it's really better to invest in professional tree care from a reliable tree care company like Supreme tree service. We know how to provide tree care services without causing property damage. 2. As a home owner you want to make sure your house is not in danger of being damaged or destroyed by falling trees during a storm. If you have your trees trimmed you won’t have to worry about limbs hanging over your home and the potential damage they can cause. 3. Your home is probably your biggest investment. Protect your property value by maintaining the trees on your property. Have your trees trimmed and pruned to ensure your homes curb appeal. We can handle all of your tree service needs. Whether it's tree removal, tree pruning, palm tree trimming or stump grinding our tree company can handle it. So submit our easy online form or give us a call today at 727-469-7787 for a free no obligation estimate. Consider Hiring a Company for Your Tree service in Pasco That Will Go Above and Beyond! ​When it comes to Tree Removal, we offer superior Service! We would prefer to preserve the environment, whenever possible by trimming a tree rather than cutting it down. With pruning, the health and beauty of a tree can be preserved and even enhanced. Beautiful trees have proven to even increase your homes property values. Our tree trimming company’s experts know what the exact solution will be for your trees. Our tree trimmers will be able to care for your trees safely and precisely. You’ll want to hire the best local tree service. In order to feel confident in your decision to hire a tree company to come to your home, there are several important questions that you should ask. Be sure you understand the answers given by the tree service. 1. Can the tree service provide you with an up to date certificate of insurance? Be sure to hire a company that is insured. You are liable for any injuries, accidents, or even damages if they are not insured. 2. Will the tree service be working around electrical conductors? If they are, you will want to make sure that they are certified and experienced. 3. Can the tree service in Pasco offer you a list of their references? Any tree removal company that you are hiring should be able to quickly provide you will a list of customers that were satisfied with their work. When asking for references, ask for clients that they have completed work for in the last month or two. 4. Ask the company to explain how they will complete the work and what type of equipment they will be using. 5. Can the tree service tell you how long your project will take? Companies will vary in their time frames and you will want to keep this in mind when making your hiring choice. 6. Will the company employees use spikes when they prune trees? Trees can be damaged by spikes, so unless the tree is being removed, you will want to ask that they avoid the use of spikes. 7. Will the tree service use protective equipment when completing your job? You will want to make sure that the company takes OSHA requirements seriously when tree care is being completed. You need to make absolutely sure to protect yourself as well as your property when trying to find the best Tree service Pasco near me. If you’re on the fence as to whether you should cut a tree down yourself or even ask a neighbor, do the smart thing and call Supreme Tree Service 727-469-7787. ​Cutting down a tree involves a drastic change to your property. The safety of your home and property is very important. Trees can become unstable for many reasons. They can become diseased or maybe they are old and unstable. Old or diseased trees are a hazard to your home and should be cut down. The weather in Florida can play a major role in your decision to have a tree removed. Living in Lightening Alley, we all know how susceptible are trees are to lightning strikes. Old or diseased trees that are hit by lightning are more likely to come down as they are already weak. Our tree cutting experts scale the tree using the proper safety rigging system. While the rigging keeps our tree climber safe, from the crown of the tree, they can control the direction and placement of falling limbs. Portions of the tree are systematically removed, taking it apart limb by limb. Controlled demolition of the tree prevents mishaps and ensures the safety of your home and our tree removal experts.​Call us today at 727-469-7787 to have those hazardous trees removed. Providing shade and beauty year round, trees are an important asset to your property. Removing specific branches or stems, is called Pruning. Pruning benefits the whole tree. Proper pruning of your trees can extend their life and make your property aesthetically pleasing. If tree branches are left untrimmed they can become a hazard. They can grow out over your home roof or they can grow dangerously close to electrical lines. Tree branches that are not pruned can die and fall, causing damage to your property. There are five basic types of tree pruning. Requires pruning lower branches to eliminate low growing branches. Requires pruning the crown to reduce the overall height and spread of the crown. Requires selectively pruning the crown of the tree to remove weak, thin, crossed and dead branches. Requires removing dead, damaged or diseased branches. ​.​Call us today at 727-469-7787 to have those trees trimmed. Our tree professionals are trained to work with a wide variety of palm trees. We specialize in trimming, Royal Palms, Traveler Palms, Coconut Palms, Bird of Paradise Palms, Queen Palms and Sylvester Palms. Having your Palm trees trimmed periodically will enhance the look of your yard, it will also benefit the health and beauty of your palm trees. We will start by clearing the debris from your Palm tree. This will enhance the health of your tree by preventing infestation of unwanted pests. We will then inspect your Palm tree for signs of decay. If there are any infestations or decay we will advise you of your best treatment options. Once your tree has been cleaned & inspected, we will begin the trimming and shaping of your Palm tree. ​We will remove dying or dead fronds and heavy fruit pods. We will also remove the bark from the trunk, giving it a fresh textured appearance. Call us today at 727-469-7787, so our tree experts can use their knowledge and experience to ensure your Palms are well taken care of. Fact: Removing a tree leaves a tree stump behind. There are many reasons to have a tree stump removed. If the stump is left behind, the tree stump can attract pests. Termites love to breed in decaying tree stumps and other insects like to feed on the decaying stump. Sometimes, stumps that we thought were long dead may even start show new growth, causing them to look unsightly. The stump left behind after a tree has been cut down can not only look unsightly, but it can be a hazard. Often times home owners forget about the stump and trip over it, other times, it may be in the way of your new garden or deck area. We use utilize several different types of equipment to grind tree stumps large or small. Our stump grinders range from large machines, to small grinders for small or hard-to-access stumps. Our stump grinders remove the stump and the roots surrounding the stump. We can remove the stump whether the tree was alive or dead. Call us today at 727-469-7787 to have those dangerous tree stumps removed.